The building is white washed, boxy and in the middle of nowhere. It could be mistaken for a corner shop, if it wasn’t for the big sign that reads: Scotia and Chameleon books. We walk through the odd, right angle corridor into the warehouse, and the mixture of work and home becomes more apparent. The bright, open plan room sprawls out, with a kitchen area at the front and countless bookcases behind it. Colourful posters of literary characters adorn the walls, and lines of new books stand to attention on shelves. I am given a cup of tea and a seat at the kitchen table, as I wait for author Theresa Breslin to arrive. I’ve barely had two sips of tea when Breslin flurries in, with books under her arm. She explains that the books are for a local school reading week, which she is helping organise. This reading week is just one of the events Breslin has taken part in, since adopting the role of Scottish Reading Champion. As well as being a Reading Champion, Breslin contributions to literary journals, and writes books for people with reading difficulties, such as dyslexia. Her other responsibilities include: starting up the West of Scotland Children’s book group, coordinating the Scottish Writers project, being a member of the Scottish Book trust and the UK Government Advisory Committee for Public Lending Right. Breslin’s attitude of full time writing is reflected in her appearance. Although we are only meeting for a casual interview she is dressed in a smart black trouser suit, teamed with a crisp white shirt. Her formal dress is, however, softened by her auburn, pixie haircut. The bob suits her mischievous expression, as I ask her about the childhood books that influenced her writing. Breslin leans in to me, as if divulging a secret, pauses a little, and explains that Dickens’ A Tale of Two Cities was her ‘epiphany book’. Despite Breslin’s passion for reading, she didn’t always plan to become an author. Instead, she chose to be a librarian, and stumbled across her calling, while working for a mobile library. Breslin explains that during a stop at Gartcosh, she discovered the village’s steel mills were closing, and it inspired her to write a story about it. She said: “The situation was really quite bad at the time, and the workers were marching to London and everything. And just about the same time a writers group had started up in one of the local libraries, so I went along. Breslin’s story won the Young Book Trust Fidler, an award for new writers. She then got it published as her first novel, Simon’s Challenge. Since Simon’s Challenge was published in 1988 Breslin has released over 30 titles for children and young adults. These include novels, plays, radio scripts and T.V. scripts. Her novel Whispers in the Graveyard won the Carnegie Medal in 1994, and Divided City won the Catalyst Book Award and the RED Book Award in 2005. Breslin credits her inspiration to ‘real life situations, people, newspapers, being curious, and suggested topics’. Her novel, Bullies at School, was written as a request from a child who was being victimised, and wanted a story written about the topic. With so many books published, I ask Breslin if writing comes quite naturally to her. She looks abashed at this suggestion. “No, I have to labour at writing. I have to think about it. It doesn’t just happen… not for me anyway. Usually when I’m working on a novel I have written the whole book at least four times before it finally gets given to the editor. But writing has its perks; Breslin visited Egypt to research her Dream Master trilogy, Belgium and France, when she was researching Remembrance, and Italy to research the Medici Seal. She tells of her visit to an Italian castle. “When I got to the castle there was a sign on the door saying it was closed! I was really fed up, so I slouched against it and it swung open. I fell into the castle! It seems that being a librarian has left a firm imprint on Breslin’s conscience. She explains how this applies to her writing as well. Breslin moderates the language in her books and the description of violence, which may disturb younger readers or prevent them from accessing texts. As a member of the UK Government Advisory Committee for Public Lending Right she knows what material is deemed suitable for young readers and what is not. 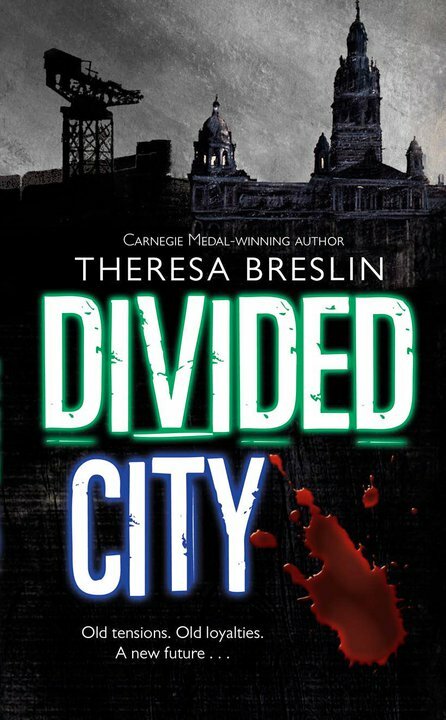 Despite Breslin’s censored style of writing, she confronts the heavy subjects of sectarianism and racism in her novel Divided City. Breslin tells me how she adapted a harder, faster style of writing in the Glasgow based novel. Divided City was used for the Ireland’s One Book project in 2005, which attempted to break down some of the country’s north and south divide through the community reading project. Breslin also read the novel at a conference in Luxemburg, where it was used to discuss conflict resolution. Children’s’ fiction, she believes is as relevant today as it was then. She said: “I think children are still reading for pleasure. The media likes to focus on negative stories, saying children aren’t reading anymore, because they are more sensational than positive ones.